The GPS signaled our next turn onto “1st Mt. 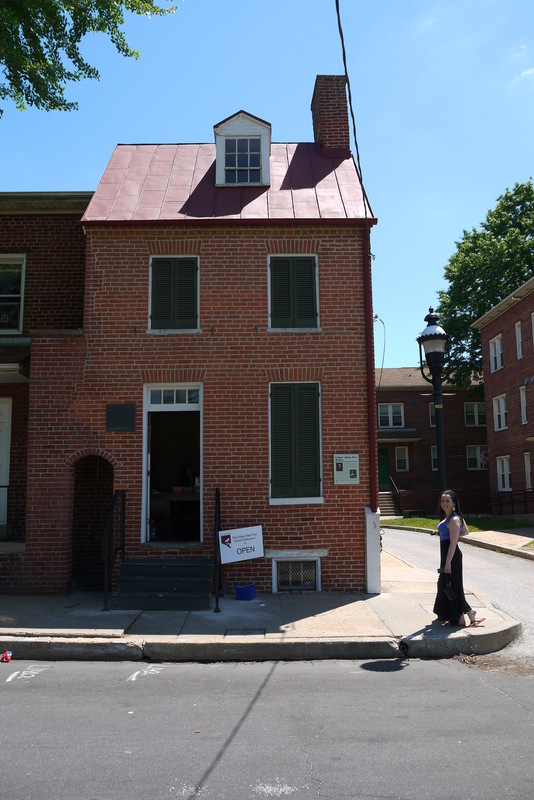 Olive Way,” which, of course, is only notable because of my nickname “Olive.” Jokingly, I viewed this rectangular, green street sign as confirmation that it was my destiny to be here – and by “here” I mean Edgar Allen Poe’s home in Baltimore, Maryland. Admittedly, this stop sparked my inner nerd, which, I’m sure, is obvious simply from this introduction. As an English major in college, I lived and breathed literature, and Edgar Allen Poe was one of my favorite American authors. We were greeted at the entrance by several museum guides, who collectively heightened my excitement with their overpowering energy and enthusiasm. 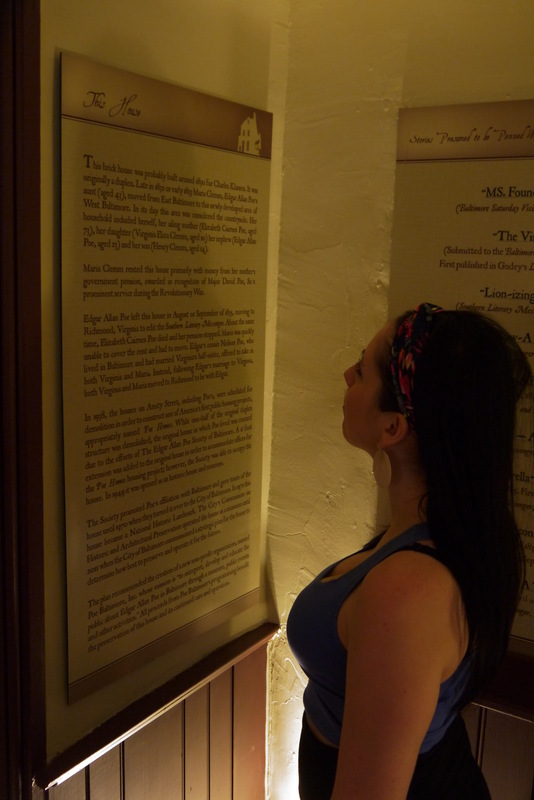 The first floor contained several wall-mounted displays with information about the home’s history dating back to the early 19th century. “Your raven has produced a sensation, a ‘fit of horror,’ here in England. Some of my friends are taken by the fear of it and some by the music.” – Elizabeth Barrett Browning. Quotes about Poe and his works were painted in calligraphy on the walls of the second floor. 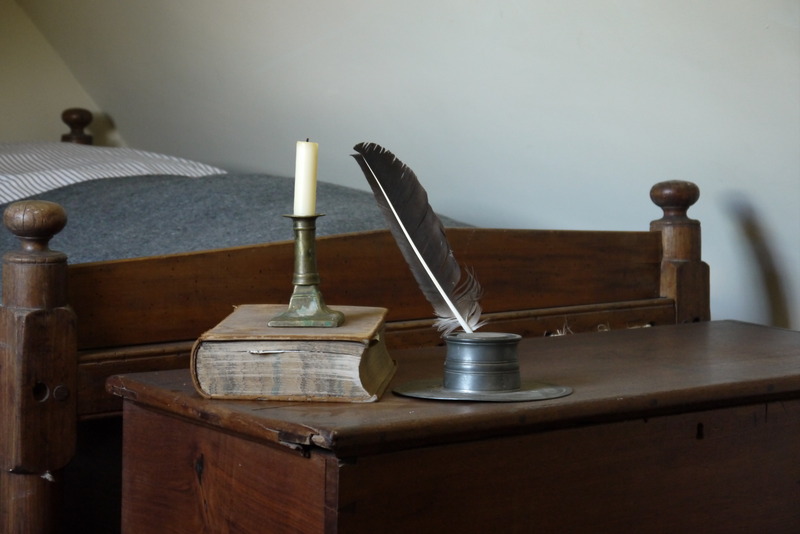 A feather pen and quill set rested atop an aged dresser on the third floor. We concluded this chapter of our adventure with a few more pictures. 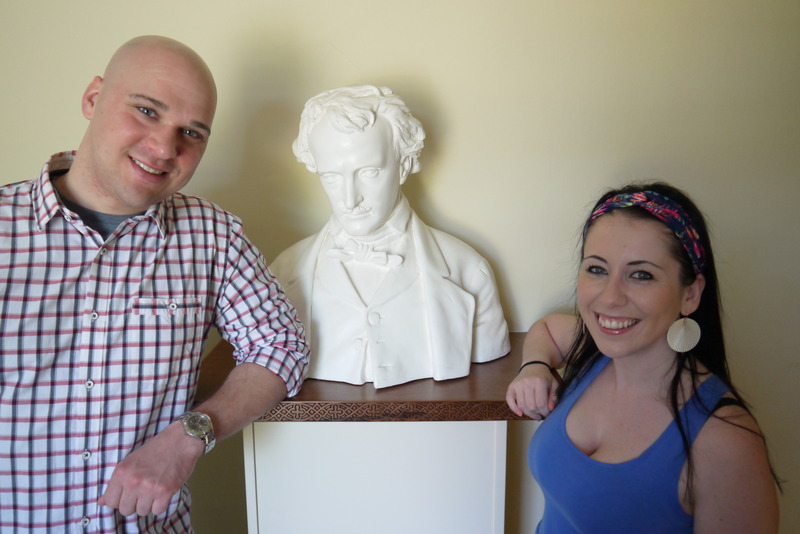 What an opportunity to stroll through the walls within which some of Edgar Allen Poe’s most famous literary works were composed. If you enjoy literature as much as I do, and ever find yourself in the Baltimore area, I strongly suggest that you visit! Thank you to Poe Baltimore for the wonderful experience.